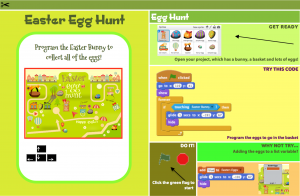 Easter is just around the corner and I’ve been busy creating more themed computing activities so that your pupils can demonstrate their computational thinking and coding skills. I’ve prepared step-by-step lesson plans and some teacher/pupil computing resources that I’m using and have added to iCompute to celebrate Easter and/or Spring. It’s Easter and the Easter Bunny has forgotten where she has hidden all of her eggs. Challenge your pupils to create algorithms and program the bunny to get all of her eggs in her basket any way they know. Ideas for differentiation, extension and enrichment are included in the lesson plan. Lots of opportunities to be inspired and get creative. 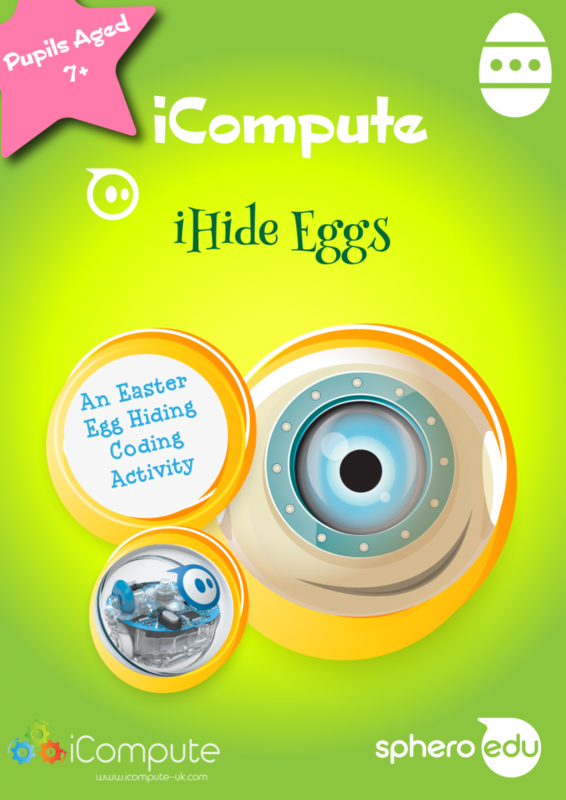 I’ve also created an Easter Egg Hiding Robotics activity using Sphero SPRK+ and Sphero Edu. The Easter Bunny (Sphero) needs your help programming it to hide a collection of Easter Eggs (hollow plastic balls or eggs filled with treats). Lots of cross curricular links here with Science and Mathematics so get rolling. I haven’t forgotten Key Stage 1, so out my free Key Stage 1 activity: programming the Easter Bunny to collect Eggs – a twist on the BeeBot app. 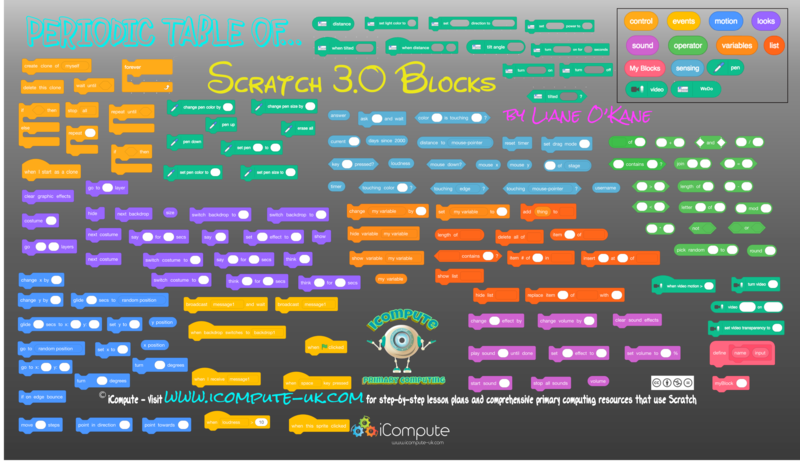 Scratch 3.0 is out now and, following on from my previous post where you can download editable printable Scratch 2.0 blocks, I’ve made a Scratch 3 version. The file includes all Category blocks along with Extensions: Microbit, Makey Makey, Video Sensing, Pen, LEGO WeDo, LEGO EV3, Music, Text to Speech and Translate. Available to download by clicking/tapping the Periodic Table of Scratch 3 Blocks image (see below). The blocks can be edited and scaled using image editing tools (e.g. Illustrator, Inkscape, Vectr). The blocks are also provided in .png format. It’s important that children be given opportunities to interact with physical programming blocks to help them understand both their function and the underlying concepts. I use them in groups for the children to program me and/or each other as well as programming using Scratch 3 itself. 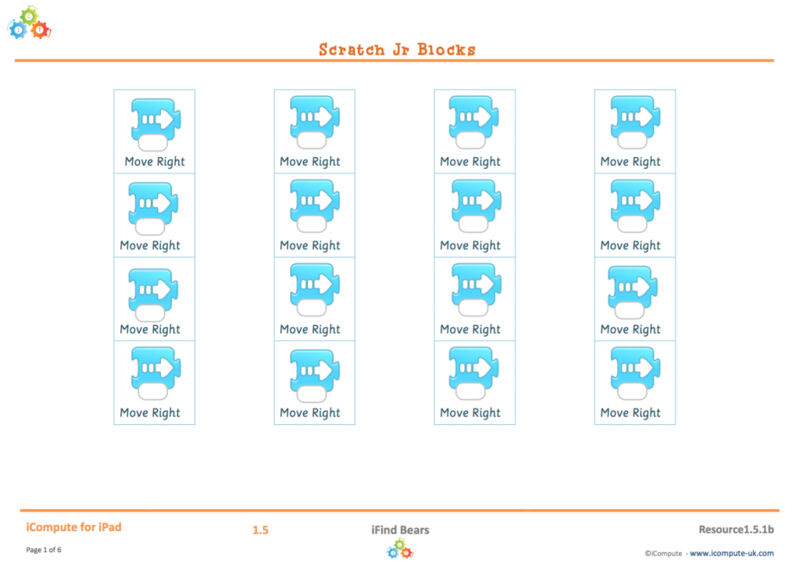 Also available in the same format are Scratch 2.0 blocks and Scratch Jr blocks from this post. 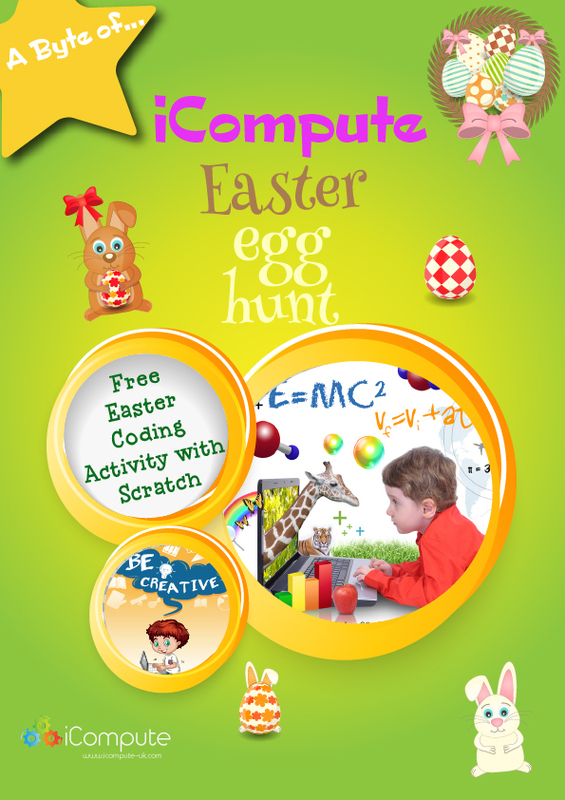 Not long until Easter and I’m sure you’ll have lots planned for it in other subjects, but don’t forget about Computing. It’s a great end-of-term opportunity for your pupils to demonstrate what they can do with Scratch programming. I’ve prepared a step-by-step lesson plan and some teacher/pupil computing resources that I’m using and have added to iCompute to celebrate Easter and/or Spring. Feel free to download and use in your own classroom. 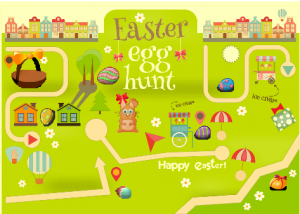 Check out my free Key Stage 1 activity: programming the Easter Bunny to collect Eggs – a twist on the BeeBot app. Valentines Day – Spreading the Love with Code! 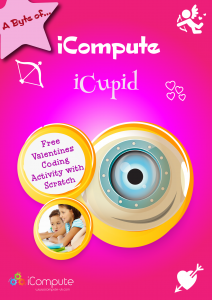 Play and code this Valentines day with our free coding activity: a romantic themed Cupid game for pupils aged 7-11 using Scratch. Throughout the year, I create free themed computing lessons, and I’ve written another step-by-step lesson plan and some teacher/pupil computing resources that I’m using in my computing classes and am adding to iCompute to celebrate Valentines Day. 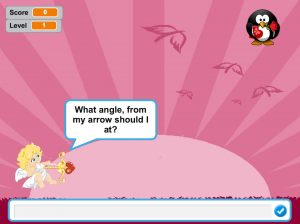 Love is in the air but Cupid needs a little help aiming his arrow! 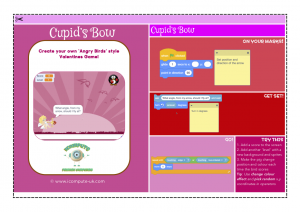 Challenge your pupils to program Cupid’s bow to respond to user input and aim to catch the heart of a love interest. Ideas for differentiation, extension and enrichment are included in the lesson plan. 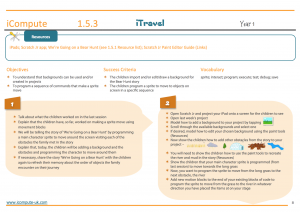 Plus program templates and partially-written programs for teacher and pupil support. Lots of opportunities to be inspired and get creative! Goodbye summer, hello a brand new academic year. We know you’ve got plenty on your plate already with new pupils and all of the many other changes a new year brings. 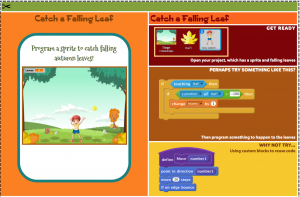 Make your computing lessons easier this term and use our free coding lesson: an autumnal themed falling leaf game for pupils aged 7-11 using Scratch. 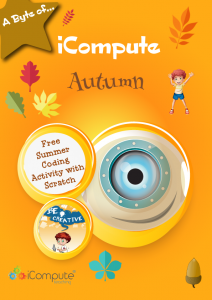 Each term, I create free (seasonal) computing lessons, and I’ve written another step-by-step lesson plan and some teacher/pupil computing resources that I’m using in my computing classes and am adding to iCompute this Autumn. Autumn is here and catching a falling leaf before it hits the ground means you get one happy day! Challenge your pupils to program sprites to catch falling autumn leaves. Catch ten and program something awesome to happen any way they know how to! The Summer term is drawing to a close, the weather is warm and you’ll no doubt have lots of activities planned to take advantage of/celebrate the weather in your classes. Let’s not forget about Computing though. 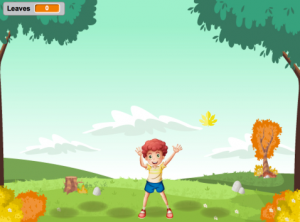 Take your pupils outside if you have laptops or mobile devices and use Scratch 2.0 with your Key Stage 2 children (pupils aged 7-11) and our free lesson for summer themed primary computing with supporting resources. It’s a great end-of term opportunity for your pupils to showcase what they have learned all year in their programming lessons. 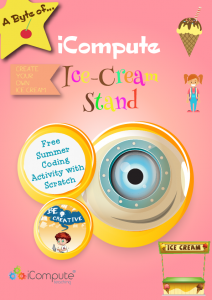 I’ve written another step-by-step lesson plan and some teacher/pupil computing resources that I’m using and have added to iCompute to celebrate Summer. Feel free to download and use in your own classroom. Summer time and the weather is sweet. 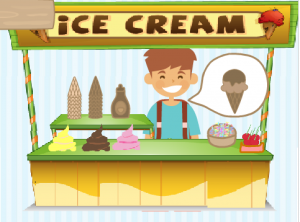 Makes you want to make a nice cool treat… Challenge your pupils to create algorithms and program an ice-cream simulation/game. As usual, lots of opportunities for differentiation. 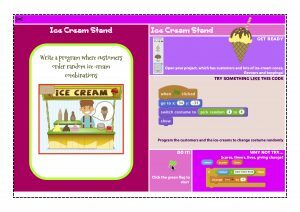 For instance, less able pupils could use pupil support cards (see Ice Cream stand card which is included in the pack) and/or concentrate on programming random customers and ice-cream combinations to appear. Introduce your KS1 computing pupils to algorithms and programming in a fun, intuitive way, using Scratch Jr on tablets. 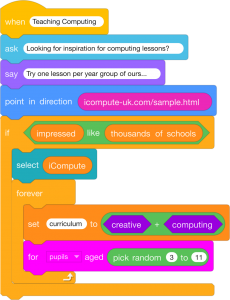 I’ve put together a 6-8 week KS1 computing unit and associated teacher/pupil resources that uses Scratch Jr and am struck by just how quickly my pupils pick up some of the fundamental principles of computer science. Alongside that, the children learn to work collaboratively, develop digital literacy skills as well as persistence and resilience in problem solving. You can download our glossary of computing terms for help with any of those concepts. 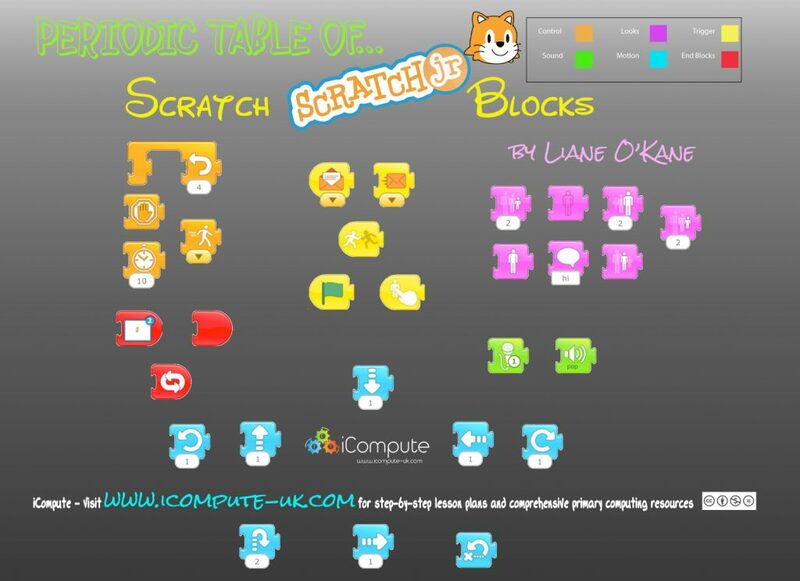 I’ve also created a periodic table of Scratch Jr blocks which have editable blocks use in unplugged computing activities, and some basic blank Scratch Jr blocks for cutting/sticking activities which help support learning. There are many creative ways to plan primary computing using Scratch Jr and I’m looking forward to starting another unit for our iPad scheme of work very soon! Get it now and get creative in your KS1 computing classrooms. I’m writing new units for our iPad pack. Starting with KS1 using Scratch Jr, I’ve made these basic blank blocks for pupils to use in cutting and sticking activities for computing unplugged (i.e. without the need for computers). I’m using this particular resource in my computing lesson plans for a unit set around the story We’re Going on a Bear Hunt by Michael Rosen. 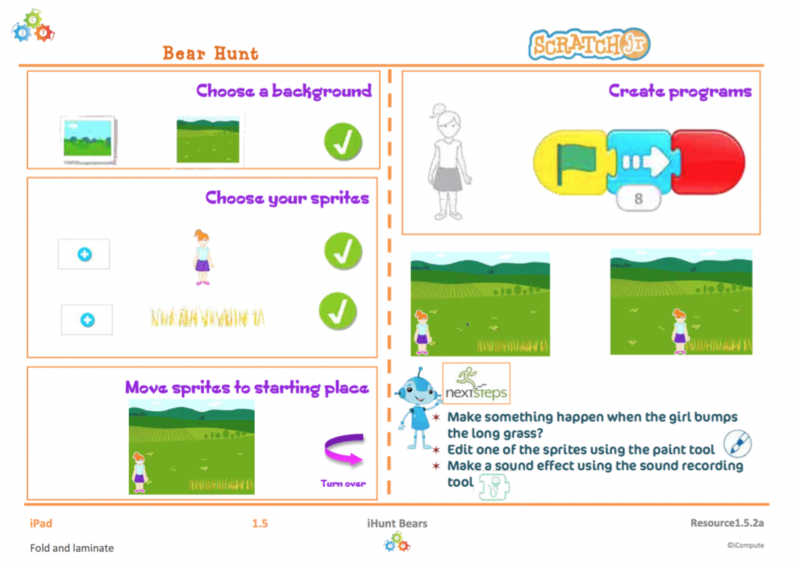 The children will plan algorithms using physical grid maps and cut/stick Scratch Jr blocks to give directions on the bear hunt. They are great to work alongside the Periodic Table of Scratch Jr blocks I posted recently here. 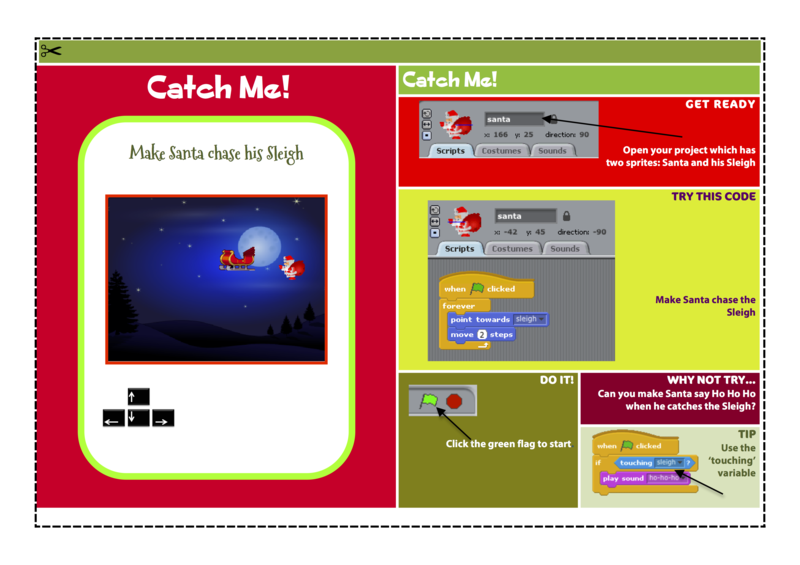 I’ve created editable, scaleable, Scratch Jr blocks for you to download and use in your coding lessons. Click/tap the Periodic Table of Scratch Jr blocks image (see below). The blocks can be edited using image editing tools (e.g. Illustrator, Inkscape, Vectr). They are also included in .png format for printing. It’s important that young children have the opportunity to interact with concrete materials (i.e. printed Scratch blocks) to help them understand both their function and the underlying concepts. I use them in groups for the children to program me and/or each other before moving on to programming using Scratch Jr itself. 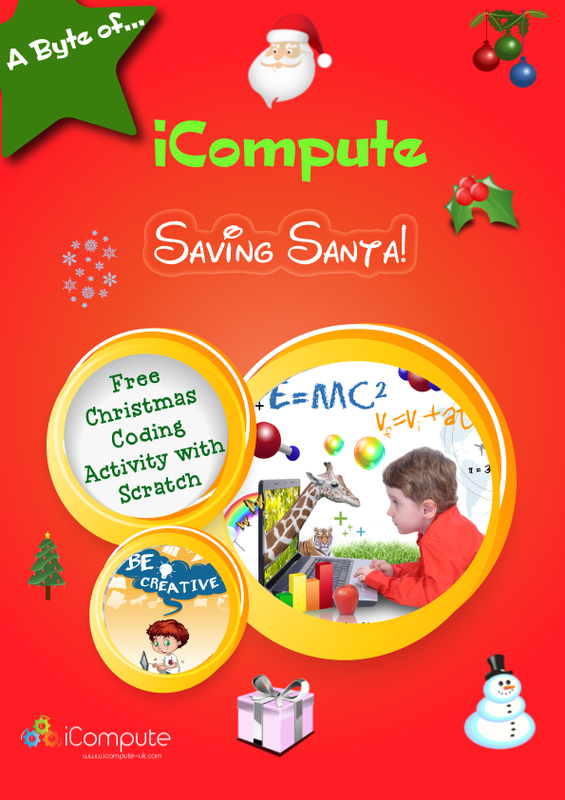 Looking for Christmas Computing lessons and activities? Christmas is just around the corner and it’s time to have some fun and challenge pupils to show what they know about coding in Scratch. I’ve prepared a step-by-step lesson plan and some teacher/pupil computing resources that I’m using in my computing lessons to celebrate all that is Christmas and festive. Feel free to download and use in your own classroom. It’s Christmas Eve and Santa is off on his travels around the world delivering presents when catastrophe strikes! He’s fallen out of his Sleigh! Challenge your pupils to create algorithms and program Santa to get back into his sleigh in any way they know. Ideas for differentiation, extension and enrichment are included in the lesson plan. Lots of opportunities to be inspired and get creative with my gift to you! Please note that children progress at different rates and this is intended as a guide only. 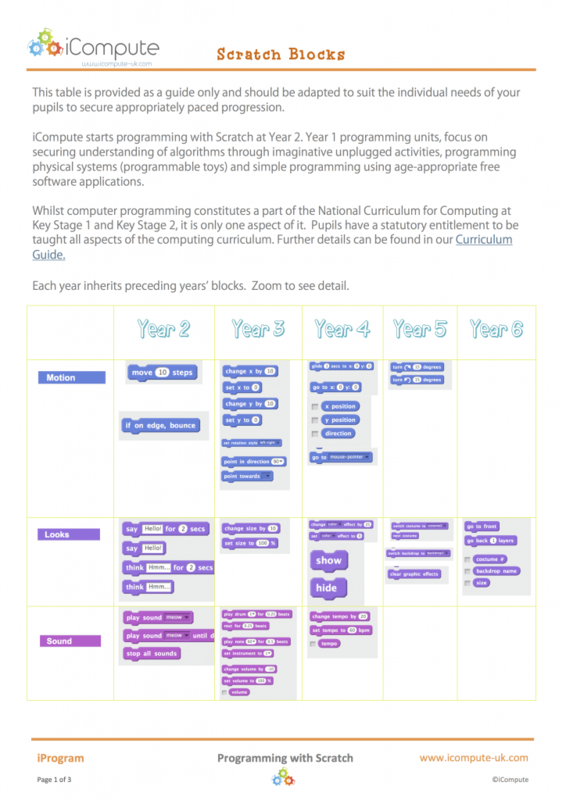 iCompute’s whole-school primary computing scheme of work provides computing lesson plans that have built in differentiation, extension and enrichment activities to include, engage and challenge all pupils in primary computing.